Here on this page, we’ll discuss HBL Branch Manager Jobs 2019 Apply Online Latest Advertisement. Jobs in HBL Habib Bank Limited are available and it has announced the latest job opportunities for the Pakistani Nationals in its several branches which are located in all cities in Pakistan and for this purpose, it invites applications from highly educated, very experienced, hardworking and well-disciplined candidates for the following positions. Jobs in HBL to apply are such as (Branch Managers & Relationship Managers, Branch Manager, Relationship Manager – Retail Bank), there are total 100 positions are available which are equivalent to Manager / Senior Manager. 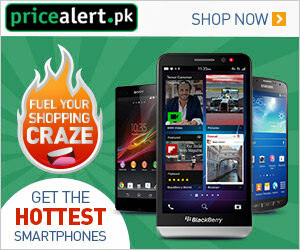 A few days back HBL Cash Officer Jobs are also announced which can be examined from our site. Appointment of the above-mentioned position will be done on a permanent basis and candidates willing to apply should compare themselves with the eligibilities mentioned in the following. According to the criteria, candidates should Bachelors or Masters from an accredited University but if we elaborate the required qualification then candidates having a BA, B.Com, BSc, BBA, M.Com, MSc, MA, MBA and 1 to 3 years experience in the relevant field. Here in the following now we’ll discuss the how to apply the procedure of above-mentioned position. Candidates fulfilling all above requirements should apply via online at www.hblpeople.com. The only online application will be entertained for the selection procedure. The last date for submission of application is January 20, 2019. Applications received after closing date will not be considered for the selection procedure. 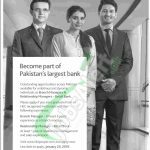 Get HBL Branch Manager Jobs 2019 in Retail Bank on Permanent Basis for all cities of Pakistan. Bachelors of Masters from an accredited University are welcome to apply via online at www.hblpeople.com before the closing date and after final selection, the selected individuals will get Rs 50,000 - Rs 100,000 salary per month. Last Date to Apply: January 20, 2019.